The present housing market in London Ontario is very active and a sellers market, however, some homes are not selling or are taking 15, 20 or 30 days or more to sell! To get your selling price there are 12 steps you can take to ensure that your home sells quicker, and you can reduce stress and have some semblance of control. 1 Keep the reason you are selling to yourself and your Realtor®. Do not reveal your motivation for selling to anyone else because they may use it against you at the negotiating table. When asked, just say that your housing needs have changed. 2 Different goals will dictate different strategies. What is more important to you: the money you walk away with or the length of time your property is on the market or both? 3 Do your homework before setting a price. The average buyer will look at 15-20 homes at the same time they are looking at yours. That buyer will now have a basis of comparison, and if your home does not compare favorably with others in the price range, you will not be taken serious by buyers or Realtors®. The result can be that your home will sit on the market for a long time, knowing this; new buyers on the market will think there is something wrong with your home. (A good Realtor® should do this for you) Find out what homes in your neighbourhood have sold for in the last 6-12 months, and research what current homes are listed for. That is how a prospective buyer and their Realtor® will assess the worth of your home. 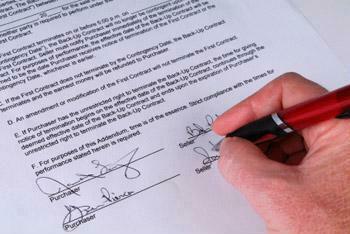 Note: If a neighbour says they sold their home for x amount or purchased it for x amount, have your Realtor verify it. You most likely will be surprised at the real number! 5 Maximize your home’s sales potential. You may not be able to change your home’s location or floor plan, but you can do a lot to improve its appearance. The look and feel of your home generates a greater emotional response than any other factor. Before showings, pick up, straighten up, unclutter, scrub, scour and dust. Present your home to get a “WOW” response from prospective buyers. Allow the buyers to imagine themselves living in your home. The decision to buy a home is based on emotion, not logic. You and your Realtor® are partners in marketing your home. Choose carefully and wisely, here are some questions you may want answers to. 7 Make it easy for buyers to get information on your home. Buyers calling for information on your home value their time as much as you do. They also do not want to be hassled or frustrated because they cannot get a hold of the listing Realtor® or some of the information in the listing is incorrect. 92% of homes sold have been previewed over the Internet! Make sure your Realtor® has a proven feedback system to allow you to know the comments and opinions of prospective buyers. 8 Do not move before you sell,or, keep it furnished if you can. Studies have shown that it is more difficult to sell a home that is vacant because it looks forlorn, forgotten and simply not appealing. As well, prospects may think because it is empty, you are motivated to sell fast and for a lower dollar. 9 Deadlines create a serious disadvantage. 10 Keep emotions in check.Do not be offended by a low offer or certain demands from the buyer. A good Realtor® can turn these negatives into a positive situation. You will have an advantage over others who get caught up emotionally. Emotions will not alter the situation, it has already occurred. 11 Be a smart seller- disclose everything. Be proactive, by disclosing any problems or defects you are giving the buyer confidence that you are not hiding anything. This also will prevent liability or legal issues to follow. 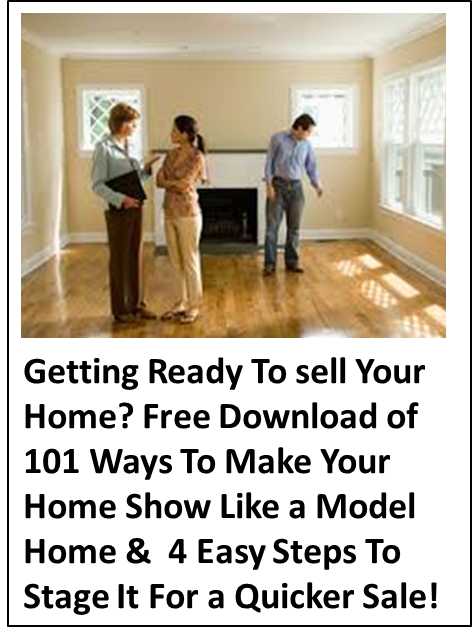 These 12 steps are a guideline and I would love to explain each step in detail to you because I know how important selling your home in London Ontario is and no one can afford to throw money away or have a process that will come back to haunt them. When I take on a client and their home, I take the time before we start to market the home to discuss and review the pros and cons of different strategies and walk you through the steps of the selling process so that you are comfortable and more knowledgeable and can sleep better! This entry was posted in Houses For Sale London Ontario, Real Estate London Ontario and tagged selling a condo London Ontario, selling a home London Ontario, selling a house in London Ontario by Ty Lacroix Broker of Record & Owner. Bookmark the permalink.